Gray, in turn, composed a beautiful response. 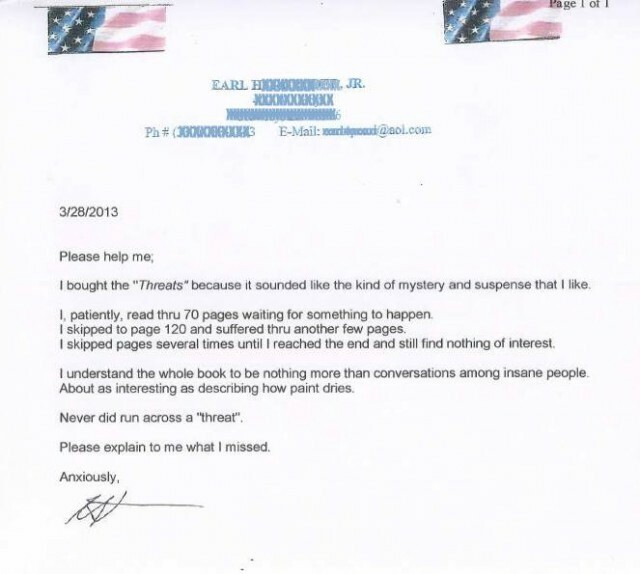 Dear Earl, Thank you very much for your response to my book THREATS. 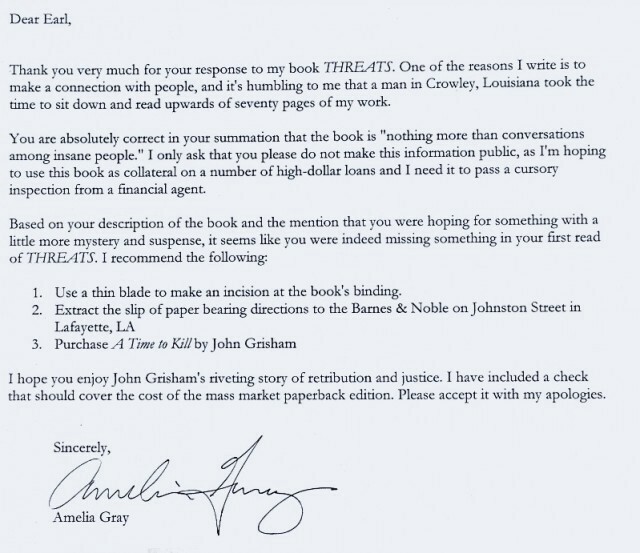 One of the reason I write is to make a connection with people, and it’s humbling to me that a man in Crowley, Louisiana took the time to sit down and read upwards of seventy pages of my work. Here’s her full letter back to him. A week later, Earl returned the voided check with a note that said A Time to Kill is indeed the type of reading that he preferred, and told the author that, although he appreciated her suggestion, he also preferred to do his reading on a Nook. Amelia Gray pronounced her time with Earl “a sweet exchange, all in all,” and the rest of us sent her a complex sequence of high-fives and handshakes, as is typical with women, in our conversations among the insane.